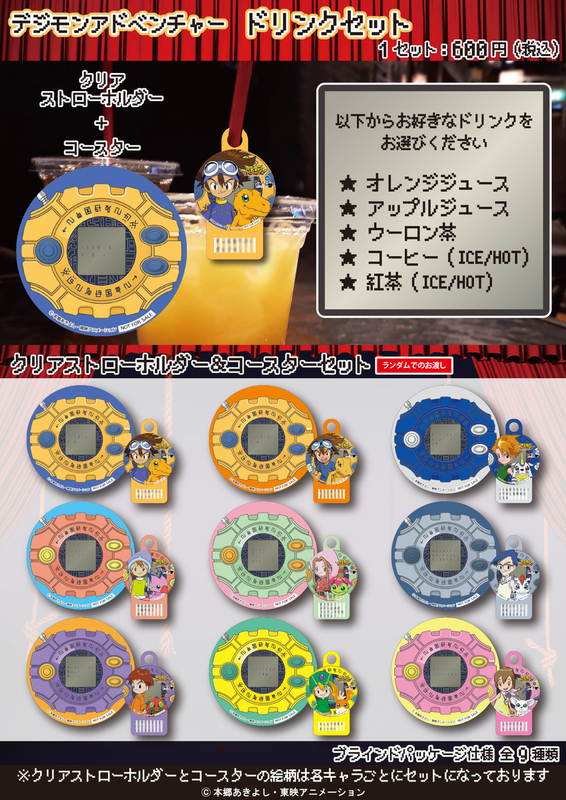 The second Digimon Adventure escape room, "Ultimate Decisive Battle- The Greatest Darkness, Apocalymon", will be held March 21st to July 15th at various Nazotomo Cafe locations. While it was only announced 2 weeks ago, the new escape room opens in 2 days! Since we're so close to release, Nazotomo has begun to update some of the details of it, and for now we get a look at the participation stickers. Each person doing the escape room, win or lose, gets one of these 9 stickers at random. 8 of the stickers features artwork from the Adventure 20th Anniversary Memorial image, giving us our first look at some of the art in color, not to mention less cropped for a number of the images. The 9th sticker features Taichi, WarGreymon, and Apocalymon from the key art of the new escape room. 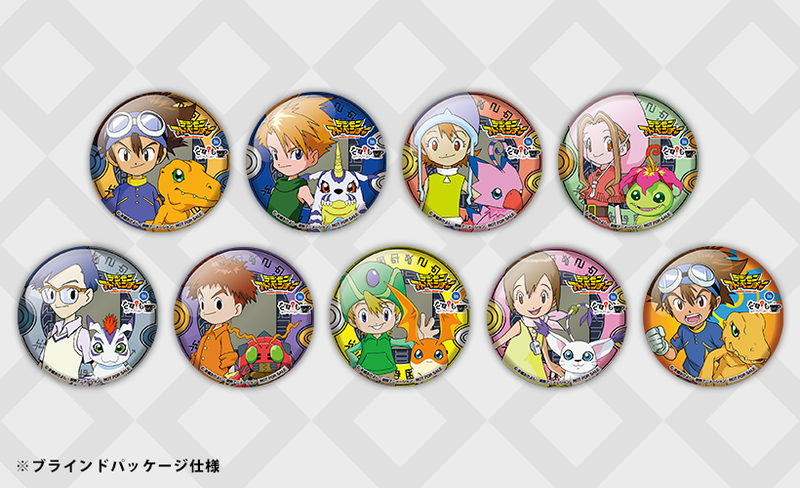 The can badges will be random packed for 400 yen each. Prior details on the 2nd escape room can be found here.